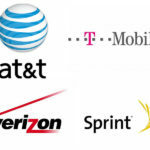 While the Trump administration inexplicably works overtime to stop the vertical AT&T/Time Warner merger, the bigger question is will the DOJ fight the more troubling horizontal T-Mobile/Sprint merger? The firms argue, with some supporting data, that the merger will indeed boost investment. But, data also suggest the merger will raise prices meaningfully by reducing competition. This matters mightily because Verizon, AT&T, T-Mobile, and Sprint already have 99% of the market.